Often called the best smallmouth bass fishery in the U.S., Pickwick Lake regularly produces smallies in the 2 to 3 lb range and it's not uncommon to catch 5 to 6 lb fish. During early spring, smallmouth move into tailwater areas in preparation for the spring spawn. After spawning the bass disperse to the numerous rocky areas found throughout the lake. With the coming of Fall, smallmouth bass return to the tailwater areas in search of forage. Threadfin shad, gizzard shad, crayfish, minnows, juvenile bluegill and sunfish are the main food sources for Smallmouth Bass in Pickwick Lake. In Spring, smallmouth bass with feed heavily on crayfish, and lures which mimic these freshwater crustaceans can be deadly. Pickwick Lake is the reservoir created by Pickwick Landing Dam as part of the Tennessee Valley Authority. The lake stretches from Pickwick Landing Dam to Wilson Dam. 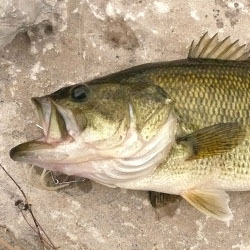 The main species of fish which inhabit Pickwick Lake are smallmouth bass, largemouth bass, striped bass, black crappie, white crappie, sauger, bluegill, redear sunfish, white bass, channel catfish, blue catfish, and flathead catfish. Pickwick Lake has excellent sportfishing opportunities, with one of the most productive areas being the Wilson Dam tailwater at the upper end of the reservoir. This area is highly noted for record-size smallmouth bass and catfish. Another hotspot on Pickwick Lake is the discharge basin at Colbert Fossil Plant west of Sheffield, Alabama, where the warm water discharged from the power plant attracts fish during the cold weather months. Trophy size largemouth bass in the 5-to-8 pound are abundant in Pickwick Lake, although fish in excess of 10 pounds have been taken in the past. The best Largemouth bass fishing on Pickwick lake is generally between mid-March to May. Pre-spawn largemouth move into shallow backwater areas in preparation for the spring spawn. After spawning they move out to deeper slackwater areas, adjacent to the swift currents in pursuit of forage. Largemouth will feed on shad as well as minnows and juvenile bluegill and sunfish. Both black crappie and white crappie can be found throughout the lake. Most Pickwick Lake crappie average about 1 pound and are easier to target when schooling. Tiny tube jigs tipped with a worm is always a great tactic for crappie. 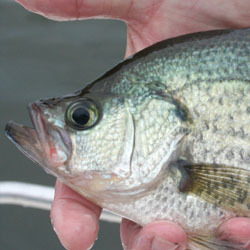 Both black and white crappie move shallow during the spawning period, from mid-February to late April. As the water warms in the summer they move deeper where they hold in 20-to 30-feet, usually above structure, such as brush piles, fallen timber and submerged Christmas trees. Sauger are also abundant in Pickwick Lake and can be found scattered throughout the lake during summertime, typically holding in deeper water. The best time of year for sauger is during the winter months, from December until February, when they can be found concentrated in tailwater areas. Each detailed map provides depth, contours, structure, boat ramps, and updated fishing information. Pickwick Lake fishing maps also include lake info such as gamefish abundance, forage base, water clarity, weedline depth, bottom composition, complete latitude/longitude grid lines and dozens of GPS waypoints & coordinates.